Big trip people and shorter riders rejoice. 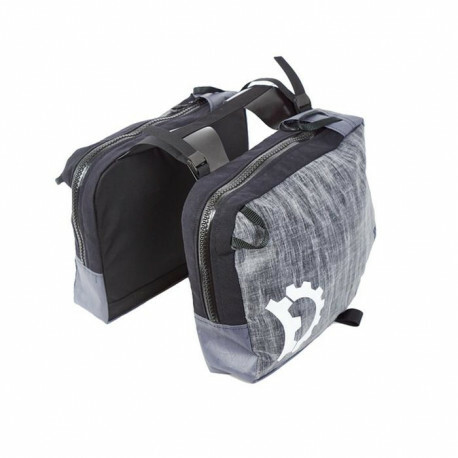 When you need the extra space that rack bags provide, but need something that will not get in your way when the going gets strange, Nano Panniers are the ticket. 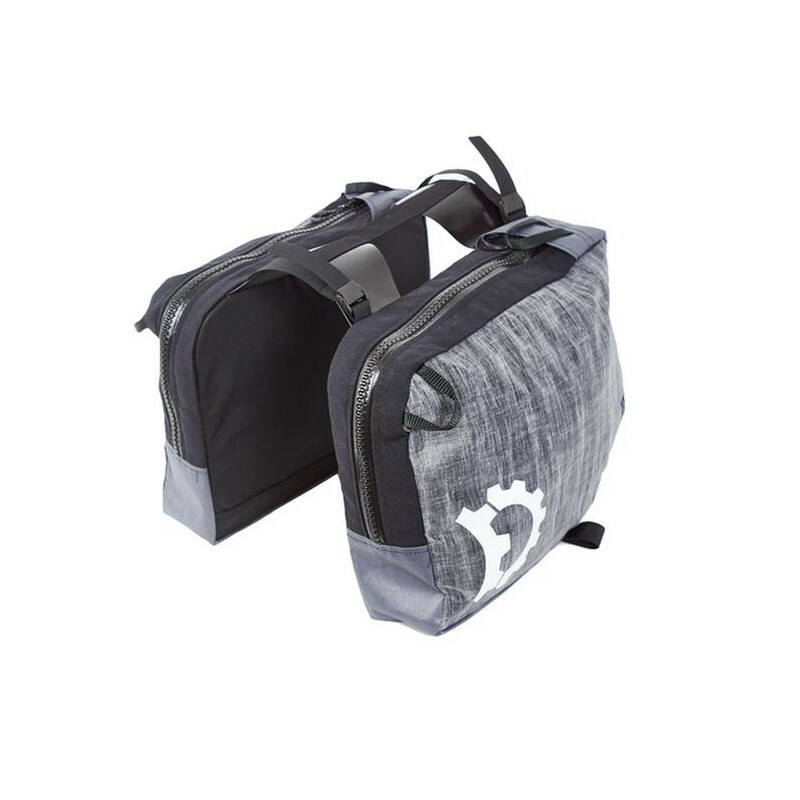 Think of these bags as frame bag supplements that stay on your bike; designed to carry dense and heavy stuff like food, water and fuel with a low profile form. With a bikepacking mindset you still put your bulky, water sensitive items like clothing, sleeping and shelter gear in a waterproof handle bar setup, seat pack, or on top of the rack deck. Basically unbreakable mounting. No Hooks or velcro. Access is through a single main zipper, using our proven Revelate exclusive zip-stretch system using stretch woven Cordura and durable molded tooth zippers for fast access. To keep the mounting as simple as possible, the bags are joined and can only be run as a pair. The fixed width is spaced for Old Man Mountain phat Sherpa racks, for narrower rack decks a set of cam buckles takes up the slack, or simply let the bags ride lower along the sides. Tension the system with straps and cam buckels on either side. Please note: These panniers are not waterproof.